Eagle Peak Monuments wants to capture the essence of your loved one through our monuments. We offer a wide selection of monuments in various styles and materials so you can find the best one for your loved one. We all live a unique and special life and that should be preserved for generations to come. Our employees are dedicated to helping you design and build the ideal tribute for your loved ones. 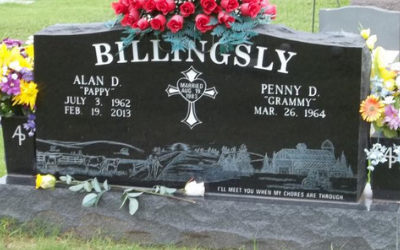 If you have an idea for a lasting memorial, we can do it. We will be glad to be of service! Let Eagle Peak Monuments help you and your family choose a meaningful memorial for your lost loved one. If you have questions regarding our prices or would like to receive a quote, call us today at (918) 224-7416. Learn more about our process and monument styles and materials by exploring our FAQ page. Be sure to check your cemeteries requirements & fees before you place your order. just with some helpful advice in selecting a memorial. 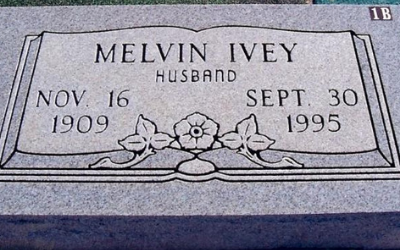 Monuments and headstones are everlasting. Eagle Peak Monuments understands the importance of memorialization. They tell who we are and where we come from, so finding the right one is exceptionally important. We offer a wide selection of monuments in various styles and materials so you can find the best one for your loved one. 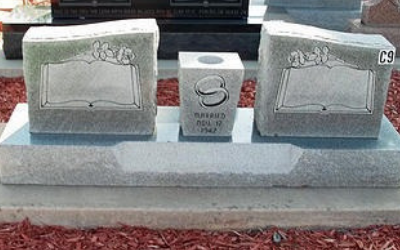 Our selection ranges across single flat markers, double upright monuments, child monuments, and veteran monuments in various designs and material types such as granite and bronze.